WASHINGTON — President Donald Trump on Tuesday condemned recent threats against Jewish community centers in the U.S. as "painful reminders" of lingering prejudice and evil, his first full-throated comments on the rise of anti-Semitic venom after pressure for him to speak out forcefully. Trump's latest remarks, made at the newly opened National Museum of African American History and Culture, marked the first time he directly addressed recent incidents of anti-Semitism. Earlier in the day, the White House put out a statement denouncing "hatred and hate-motivated violence" but not mentioning Jews, the weekend vandalism at a Jewish cemetery or multiple threats to community centers Monday. 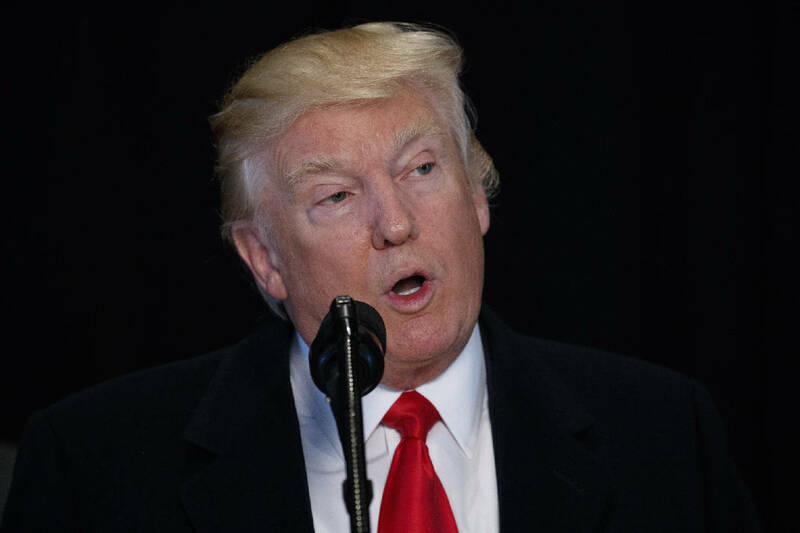 "The anti-Semitic threats targeting our Jewish community and community centers are horrible and are painful and a very sad reminder of the work that still must be done to root out hate and prejudice and evil," Trump said. He did not outline what that might entail. On Monday, Trump's daughter Ivanka Trump wrote on Twitter, "We must protect our houses of worship & religious centers," and used the hashtag #JCC. She converted to Judaism ahead of her 2009 marriage to Jared Kushner. She joined her father at the African-American museum tour. The FBI said it was joining with the Justice Department's Civil Rights Division to investigate "possible civil rights violations in connection with threats." Ryan Lenz, spokesman for the Southern Poverty Law Center, said it has seen an uptick in incidents since Trump's election. "People are much more willing to express their bigoted selves than they were prior to the election," Lenz said. Trump's statement Tuesday followed a series of episodes that put some American Jews on edge. Last week at a news conference, Trump tangled with a reporter from an Orthodox Jewish publication, cutting him off as he asked about a rise in bomb threats. The president, who seemed to interpret the query as an attack on him personally, said it was "not a fair question" and went on to say he was the "least anti-Semitic person that you've ever seen in your entire life." Trump's top strategist Stephen Bannon came under fire for stories published by Breitbart News, which he'd led before joining Trump's campaign. During the campaign, Trump at times appeared to play to stereotypes, including tweeting out an anti-Hillary Clinton image that included what appeared to be a Star of David atop a pile of money. At a joint news conference, Trump called Israel a symbol of "survival in the face of genocide." Trump's Tuesday comments were praised by several Jewish organizations. Jonathan Greenblatt, chief executive of the Anti-Defamation League, the Jewish civil rights group that has been highly critical of Trump, called the statement an "important first step." "I think the Jewish community has been looking for leadership from the president. I was encouraged to hear him step up and say that proactively and now we need to look for the follow-up so we can move from words to action," Greenblatt said. Matt Brooks, executive director of the Republican Jewish Coalition, said in a statement that his group applauds "President Trump and his daughter Ivanka for their strong words in condemning these unspeakable actions." Still, some said Trump had not done enough. On its Facebook page, the Anne Frank Center for Mutual Respect called Trump's Tuesday comments a "Band-Aid on the cancer of Antisemitism that has infected his own Administration." White House spokesman Sean Spicer pushed back against those remarks at a news conference Tuesday. He said Trump has spoken forcefully against hate, arguing, "It's ironic that no matter how many times he talks about this that it's never good enough."